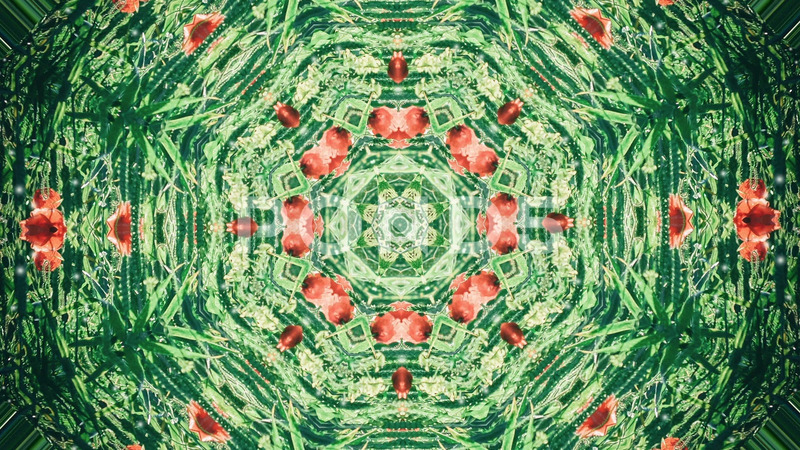 Abstract Animated Kaleidoscope Motion Background. Description: Abstract animated kaleidoscope motion background. Sequence multicolored graphics ornaments patterns. Bright natural green red with plant and flowers backdrop. Multicolored seamless loop background.